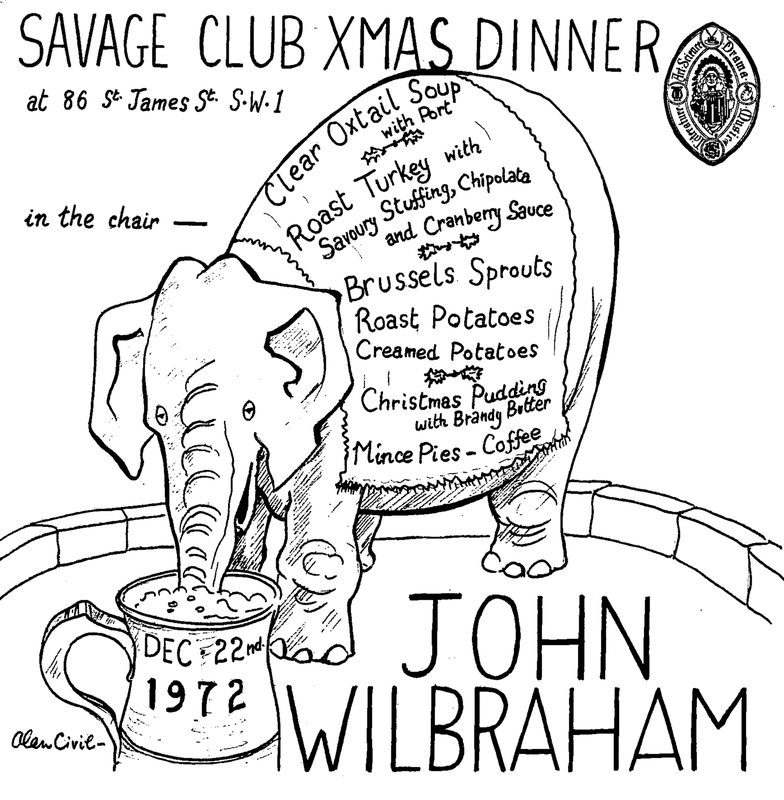 On 22nd December 1972, John Wilbraham was ‘in the chair’ for a Christmas Dinner held at the Savage Club in London, SW1. We don’t know who attended this special event, but what we do have is a truly remarkable piece of brass memorabilia – a Menu hand-drawn for the occasion by none other than the great horn player Alan Civil, who was quite a cartoonist too it seems! Open the menu up and it reveals and even more fascinating piece of brass history. A cartoon of John playing his piccolo trumpet with a pile books containing witty inscriptions at his feet. 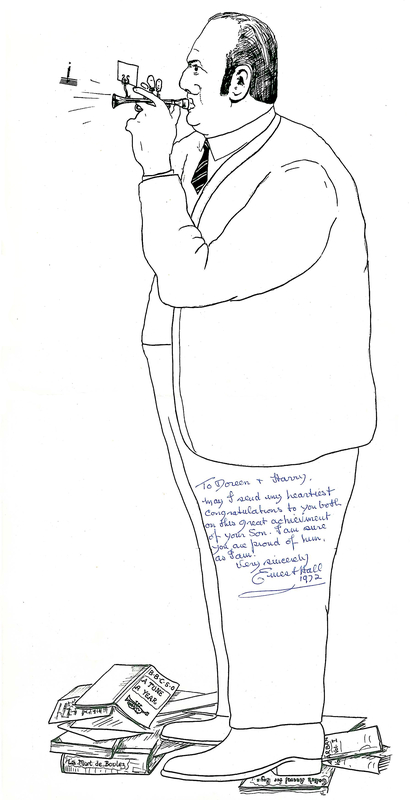 Not only that, the card has a lovely hand-written note to John’s parents Doreen & Harry from eminent trumpeter Ernest Hall, presumably congratulating them on John’s recent appointment as Principal Trumpet of the BBC Symphony Orchestra. We are very grateful to Doreen (John’s Mother, now in her 90s) for allowing us to reproduce this fabulous document along with a collection of photographs which we will be adding to the site in due course.